When looking at Cabo San Lucas vs San Jose del Cabo, there are some substantial differences between the two towns. Both are on the tip of the Baja peninsula, and together they are called Los Cabos, but visiting the two different towns offers distinct experiences. Here are the notable features of Cabo San Lucas vs San Jose Del Cabo. The city of Cabo San Lucas is most well known for its resorts and nightlife. Being on the tip of the Baja California peninsula gives Cabo panoramic views of both the Pacific Ocean and the Gulf of California. Cabo San Lucas is one of the top five tourist destinations in Mexico due to the incredible beaches, scuba diving, and fishing. With its iconic sea arch, El Arco de Cabo San Lucas, it is a recognizable tourist destination. 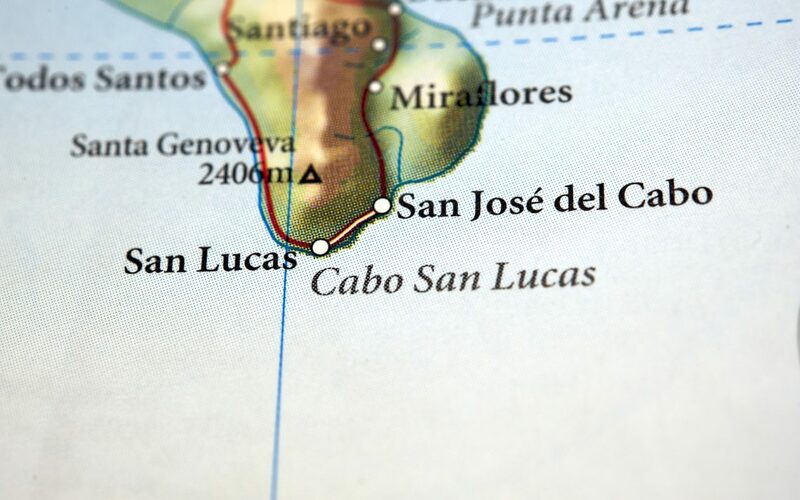 Cabo San Lucas is a bit busier than its neighbor San Jose del Cabo to the north. The coastline is considerably developed with timeshares, hotels, bars, and restaurants. While access and amenities are what some visitors are looking for on vacation, San Jose del Cabo offers a quieter reprieve from the hustle and bustle. San Jose del Cabo has a more authentic Mexican feel to most. The central square, Plaza Mijares, is the heart of the town with the Mision de San Jose offering a treasured colonial historical landmark. The surrounding cobblestone streets are filled with shops that range from selling local Mexican wares to more modern beach items. The narrow alleys are pedestrian-only, giving San Jose del Cabo an old-town feel. The town borders the San Jose Estuary, providing nature lovers opportunities to watch a variety of birds and wildlife. The beach area in front of San Jose del Cabo also has multiple resorts to choose from called Zona Hoteleria. To the south end of the beach is the famous Costa Azul beach, featuring several of the most famous surf breaks in all of Mexico. When it comes to the differences between Cabo San Lucas and San Jose del Cabo, there really isn’t a “best.” It simply depends on what kind of Mexican experience you are looking for. If you are looking for a high-energy, resort-style vacation, Cabo San Lucas is probably perfect for you. If you are looking for a more cultural Mexican holiday that may be a bit slower-paced, San Jose del Cabo may be the city of your calling. Either town you choose to visit in Los Cabos, and you can easily visit both, I can help you find a place to stay during your vacation. Once you come, you may want to stay. In that case, I can find you the home of your dreams so that you can visit Baja more often! Contact me so I can help you find a place to stay and live in as you visit both Cabo San Lucas and San Jose del Cabo.